While the global economic scenario is constantly changing, the scenario in India is a little different. There are lacs of qualified youngsters these days. But the lack of employment is not good for the country. We have no idea how many people are working in underpaid jobs or are overqualified for their roles just because of the lack of good jobs. In this scenario, if you have not found a job yet, it is nothing surprising. But there are a few questions you should be asking yourself as to where you are lacking. 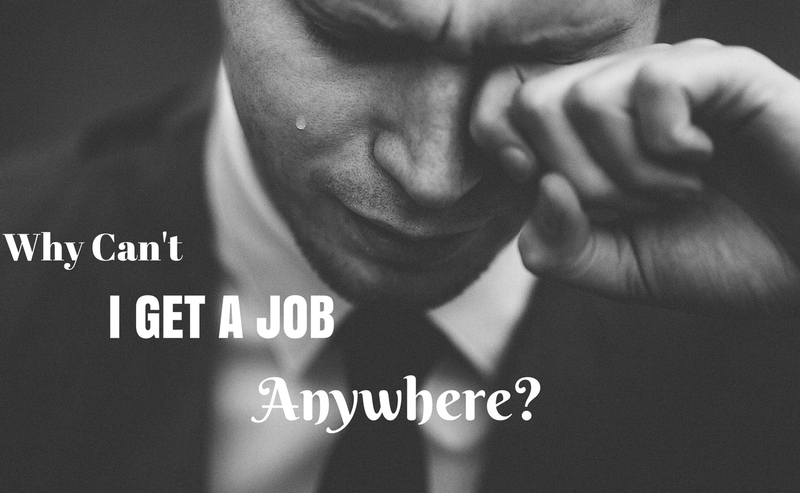 There might be a lot of reasons for you not getting that job. Let’s have a look at some of the possible reasons why you don’t have a job yet. Why Can’t I Find a Job Yet? Your networking skills might be poor. You might not understand the importance of networking, but you need to stay updated of what’s going on. Your resume will be of no help if you don’t have the right kind of contacts. That’s the bitter truth. 2. Are you giving the interviews right? An interview is not just about answering questions from the hiring manager, it is a lot more. When you are appearing for an interview, you are being assessed on every aspect you can possibly think of. Your body language, your posture, HOW you answer questions, everything matters. The hiring manager is looking at all of these. If you are not able to crack an interview, question your skills. You need to have a cover letter as well along with your resume. It should be on point, cover all your talents and skills and give a recruiter what he is looking for. While your resume shows your achievements, let your cover letter say what a resume cannot. An ideal cover letter is of the length of one page or so, and that is enough to briefly put in all your skills. Also, make the cover letter precisely about how you are fit for the role that you are applying for. With hundreds of new jobs being generated every day, if you apply for one or two that is not going to be sufficient. Keep applying to as many jobs as you can. That increases your chances of getting a call back. Also, one very important thing most people do today is changing cities. If you are shifting to a new city for a job, you need to make your cover letter even more appealing. You need to include all the right details in your cover letter. Let your application stand out among the hundreds of others. Again, a lot of people have huge gaps in between two jobs. Are you one of them? If you are, there’s nothing to worry. It honestly does hamper your application, but if you are smart about it, there won’t be a problem. Address the issue in your cover letter or resume. Explain it in a proper but crisp manner as to why you had to take that gap. That makes your application on point and the recruiter gets what he is looking for. If you are asking too much hike, that might be a reason why you are not getting a job. See, no company wants to pay much. They always are on a tight budget while paying its employees. So set realistic goals. Even if you are a fresher, set your salary goals low. If you are good enough, you are sure to get hikes within the company. During an interview explain it clearly to the manager why you are looking for a job change. Also, don’t get personal here. You might have had personal reasons for changing your job, but don’t let the manager know that. Give him reasons like it wasn’t helping you grow professionally, or something on similar lines. Also, let him know how the role you are offering for is going to benefit you. Sometimes over qualification might be the reason you are not getting a job. If you are someone with more than 5 years of work experience, do not apply for fresher or mid-level jobs. That way you annoy an employer and they do not even consider your application. Look out for jobs that suit your requirements and qualifications. Don’t settle for anything less than that. Also, don’t just apply anywhere because they have an opening. You need to read the job description of a role first before applying. Sometimes people apply for a role if they have one or two skills required for the role. Don’t be that person. Go through the JD thoroughly and apply if you have more than half the skills required. When you are applying for a role, please read carefully what all they are asking for. Now different companies have different policies. So make sure you read each of their requirements carefully. Attach portfolios of previous work, if asked. Well, a recruiter is going through thousands of applications. He will immediately reject the ones that don’t have all the attachments asked for. So take your time to read it out. 11. If you were fired from your last job, do not shy away from it. Mention that in your cover letter and also during the interview. The recruiter is anyway going to find out. So during the interview, explain properly as to why you were fired. One very important aspect is do not talk too much at an interview. This is a problem especially with extroverts, they just won’t stop! Don’t be that person. If needed, add your perspective to a certain point. But do not go on and on without stopping. A recruiter has so little time in hand. He doesn’t want to listen to any mindless blabbering. If you are asked whether you can work on weekends, don’t say ‘No’. If they ask you to travel somewhere, don’t express your discontent. This way you are being tested if you are ready to take risks and challenges. If you choose your comfort zone, the hiring manager won’t choose you. Always show your eagerness to take up challenges and participate in things you are required to do. In short, show the recruiter that you are ready to go the extra mile. Also, once the interview is over, do not forget to follow up. That shows that you are actually interested in the role. During an interview, it is very important to customise your answers according to what the company needs. If you are desperate for a job, you have to do this. Don’t go on and on about what you feel about a certain thing. Try to understand what the recruiter is looking for and weave your answers accordingly. Can’t Find a Job – What Can You Do? This is a million dollar question. But the answer is easier now, since you know of the possible reasons you are not getting a job. All the above mentioned points are the probable reasons why you don’t have a job yet. Working on them can single-handedly solve this issue of unemployment to a great extent. But that’s not all. There are many more things one has to keep in mind while looking for a job. The first and foremost thing to do is visit the websites of the companies you want to apply at. Find the email ids of the HR manager or the concerned person and send that mail. There’s no harm in asking if there is a vacancy for your role at the concerned firm and what can you do, to apply there. If the company has a vacancy and is looking out for someone, they will surely reply to your mail. Put your networking skills to good use. When you are looking for a job, let people in your network know it. You will get to know of plenty of openings in a single day if you talk to the right people. Put extra care in building your resume, which is not just a CV. Include pie charts and graphs, if required because long texts might get boring. Try to find common links between your previous jobs or roles and the role you are applying for now. Something that might have seemed irrelevant previously might be relevant now. Use it to your benefit and show that in your resume. A very important aspect of showing up at an interview is how you dress. Now this does not always have to mean that you have to wear formal wear or business clothes. Anything decent and presentable works well with the human resource team. You can always ask the human resource team in advance if they expect a dress code. It not, just be presentable. Hide any tattoo or piercing that you have as that does not give a good impression to the hiring manager. If you have got an interview call, make sure you do your homework before you turn up at the venue. Most companies let you know beforehand who you are supposed to meet for the interview. Look up for that person on Facebook or LinkedIn, and know him well. That helps in building a connection the first time you meet him and that always adds up to your impression. As mentioned earlier, your resume should include the employment gaps if you had any. But don’t forget to include what you were doing during that gap in your resume. If you had taken any course or gone for workshops or even did something as a part of your hobby, do not forget to include that. So anything you might have done during that time will come in handy. Also, remember NOT to say anything bad about your previous company. Don’t talk bad about your ex-boss or colleagues. That reflects YOU in a negative light, not them. The hiring manager will start thinking that once you leave this company, you might bad mouth it too. Make sure your entire interview is on a positive note. Get your references and recommendations on your resume. Ex bosses, ex colleagues, or even professors- they always matter, when you are applying for a new job. Do not lose heart if you don’t hear back from a company after you have applied there. A company has to go through thousands of applications for a particular post. So if you see the job is being posted again, do not think twice before applying for it again. There is no harm in applying for a job more than once. If you have bagged an interview, don’t let that chance go. You will probably be asked the most common questions that every hiring manager asks. Tell me about yourself, where do you see yourself in 5 years etc. but make sure to add your punch to the answers. Give something really interesting in return for these questions. That instantly increases his interest in you. And the rest of the interview will go in you favour! Do not underestimate the power of LinkedIn. Use this site to the best of your advantage. Whether you are building a network or looking for a job, LinkedIn is your go to website for all your professional needs. Next articleManaging Well – How To Be Approachable at Work?